The Ahmedabad-Gandhinagar Metro Rail Project is being implemented by Metro Link Express for Gandhinagar and Ahmedabad (MEGA), a company owned by the state government. For the first five years, each train will have three coaches with the capacity to ferry a total of 1,000 commuters, though the metro stations have been built for six-coach trains, managing director of the project I P Gautam said. In phase-1, which is estimated to cost Rs 10,773 crore, the metro will connect suburbs in Ahmedabad along east-west and north-south axis. The route will be extended to Gandhinagar in Phase-2. The Metro Link Express for Gandhinagar and Ahmedabad (MEGA) a wholly owned company of Gujarat Government is implementing the Metro Rail Projects. The total cost of this project will be approximately Rs 10,773 crore, this project is designed to connect eastern-western and northern-southern suburbs in Ahmedabad. 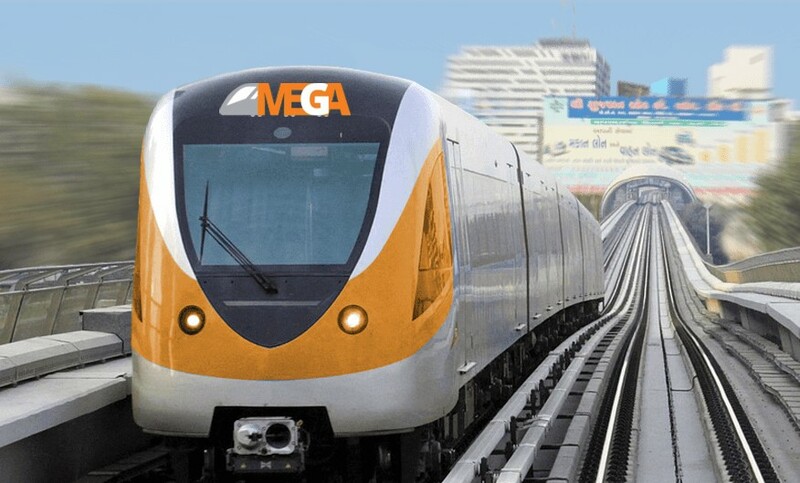 In the second phase, MEGA is planned to extend its network to the Gandhinagar. The total project cost for East-West corridor is approximate Rs. 20.73 km long; the North-South corridor which is connecting Motera with APMC Market is 18.52-km long.